About us. The Telecommunications Experts. 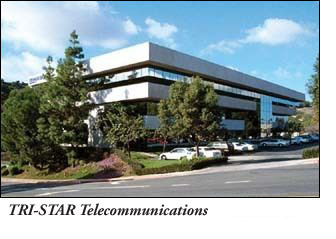 TRI-STAR Telecommunications is a national distributor serving customers since 1996. Backed by Messaging Professionals with over three decades of experience, TRI-STAR exemplifies it's commitment to providing new and quality reconditioned telecommunications equipment backed by knowledgeable, friendly staff, and a reputation for superb customer service. Our extensive inventory is stocked with a broad range of new and quality reconditioned equipment, featuring brand names such as Avaya®, Octel®, and Plantronics®. We back our inventory with industry-leading customer service, extended warranties, and prices that will save you as much as 35% off the manufacturer’s list price. We also offer same-day shipping, and provide access to a international network of certified technicians to provide the technical support you need, unmatched by anyone in the industry, right when you need it. Our technicians are extremely knowledgeable and provide the expertise your business requires. From parts and service to complete systems, call (800) 211-6200 today to find out why TRI-STAR Telecommunications is the preferred choice. “I want to thank you for your help with my most recent dilemma of getting new lines into the office and my digital dictation system without having to incur the time and expense of very costly trenching by Pacific Bell. As usual, you provided the resources and information that solved the problem for me quickly and economically.